Anna has a background in legal costs and is experienced at drafting bills of costs for taxation. Anna has assisted Gray Porter for the past ten years as a paralegal in the Insurance and Risk practice group. 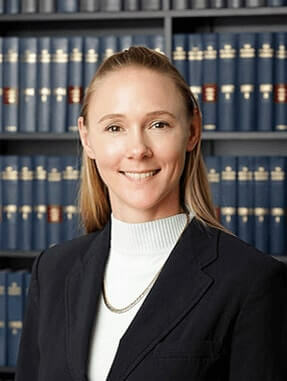 She completed her training as a paralegal, completing a Certificate IV in Paralegal Studies (a mixture of law and administration) at the Australian College of Commerce in 2000, finding a passion for the role from the start. Anna’s specialty is administrative support in the fields of workers compensation, personal injury, motor vehicle, general insurance claims and legal costs. Anna liaises with clients, case officers, insureds, medical experts and the Conciliation and Arbitration Service at WorkCover. She prepares matters for pre-trial conferences, other hearings and assists in trials in the Supreme, District and Magistrates Courts. She has established an efficient file control system used at Civic Legal. This ensures efficient claims management and monitors the progress of each claim towards resolution. Overall, Anna’s day-to-day work enables the smooth operation of the practice group. "When I started paralegal studies, I absolutely loved it and found a passion for it."